Syvia helps her clients with choice of entity decisions and entity formation, counsels businesses regarding general corporate matters and governance and regularly drafts and reviews contracts. She works with clients to develop business succession plans to allow for internal ownership transition, and she represents clients in mergers, acquisitions and reorganizations. She also counsels clients regarding wind up and dissolution. While Syvia’s clients come from a wide range of business sectors including the market research, public relations and custom furniture industries, a portion of her practice focuses on design professionals, including architects, landscape architects, interior designers, engineers and environmental consultants. She drafts and reviews design services contracts and helps these clients to successfully transition ownership either internally, to a new generations of owners in order to allow for the growth of the design firms over multiple generations of ownership and leadership, or externally to become part of a larger organization through merger and acquisition. Additionally, Syvia has handled a variety of zoning and land use matters, helping commercial, industrial and residential developers and property owners to navigate the land use approval process in cities throughout the San Francisco Bay Area. She frequently works with her real estate colleagues to form the entities needed for real estate transactions. Prior to joining Fox Rothschild, Syvia was an attorney at MBV Law LLP in San Francisco. 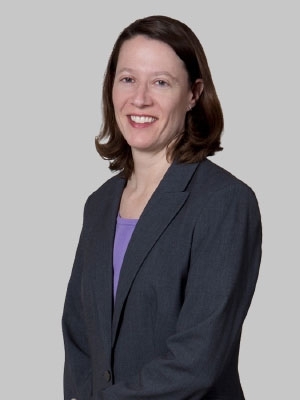 She also previously worked for the U.S. Department of Agriculture, U.S. Forest Service, Region 5, where she focused on environmental compliance and general litigation matters. During law school, Syvia served as associate executive editor of the Constitutional Law Quarterly. Syvia is a former member of the board of directors and former president of Friends of Oakland Parks and Recreation, a California nonprofit corporation.